Golbat in game: 775 Who? Important notice! 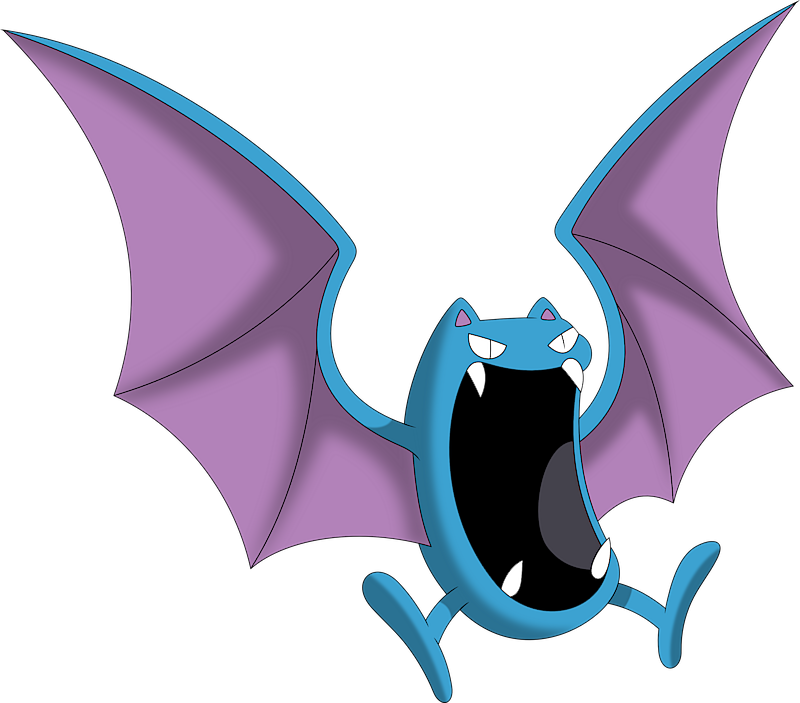 Pokemon Golbat is a fictional character of humans. It feeds on the blood of both Pokémon and humans, and is capable of drinking over 10 ounces (300 mL) of blood in one sitting. Golbat drinks so much blood that its blood type will change to that of its victim following a feed. It is also gluttonous, occasionally gorging itself to the extent that it becomes too heavy to fly. 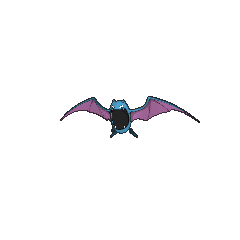 Golbat is nocturnal, and can be found quite easily in caves. Brock had a Golbat that he caught as a Zubat. It eventually evolved into a Crobat. Koga used a Golbat against Ash's Charmander in his rematch against Ash in The Ninja Poké-Showdown. In Round One - Begin!, a Golbat was the third Pokémon that Mandi used against Ash during the first round of the Indigo Plateau Conference. It was defeated by Ash's Kingler. It reappeared in a flashback in the following episode and in another flashback in Friends to the End. In the series, Golbat and its relatives were frequently employed by criminal organizations, such as Team Magma (Fight for the Meteorite and The Ribbon Cup Caper (employed by Brodie to escape with Haze after stealing a golden Poké Ball)), Team Galactic (Enter Galactic!, Losing Its Lustrous, Double Team Turnover!, Steeling Peace of Mind!, Saving the World From Ruins!, Gateway to Ruin!, Unlocking the Red Chain of Events!, The Needs of the Three! and The Battle Finale of Legend! ), Team Plasma (Team Plasma's Pokémon Power Plot!, Meowth, Colress and Team Rivalry! and Ash and N: A Clash of Ideals! ), and Pokémon Hunter J's evil cronies (Mutiny in the Bounty, Ill-Will Hunting!, and Pokémon Ranger and the Kidnapped Riolu! Part One). Multiple Golbat also appeared in The Power of One and Destiny Deoxys. Multiple Golbat also appeared in a cave in Pokémon Mystery Dungeon: Team Go-Getters Out of the Gate! and Pokémon Mystery Dungeon: Explorers of Time & Darkness. 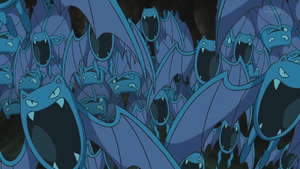 A Golbat belonging to Agatha appeared in The Scheme Team. A swarm of Golbat appeared in A Stealthy Challenge!. A Golbat made an appearance in The Lake of Rage, under the ownership of a Team Rocket Grunt. Koga has a Golbat as one of his team members which first appeared in That Awful Arbok!. 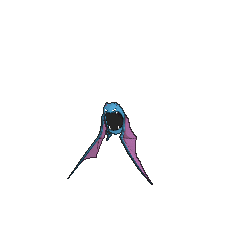 This Golbat is special in that it is able to use Supersonic in order to project a clear visual of the locations of others, using its gaping mouth as a screen. Agatha also possesses a Golbat, which fought against Koga's Golbat in Muk Raking in the Yellow chapter. In Chinchou in Charge, a flock of Golbat, Crobat and Zubat attack Misty, Erika and Brock at Tohjo Falls. A Golbat appeared in The Last Battle XIII as one of the Pokémon sent to help the fight in Ilex Forest. Golbat later made a cameo appearance in Guile from Mawile. Team Rocket General Petrel owns a Golbat as a means of aerial transportation which first appeared in Fortunately for Feraligatr. This Golbat knows Lick, a move it cannot legally learn in the games. 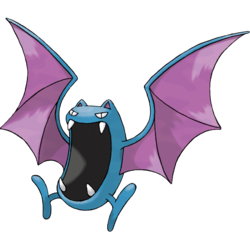 Golbat is likely based on a vampire bat.